When you have young children, May is always the busiest month with year end performances, sports championships and exams. And it seems not much has changed. As my brain is adjusting from being back and forth in too many time zones, I’ve been catching up on this month’s (well actually June’s) design issues. 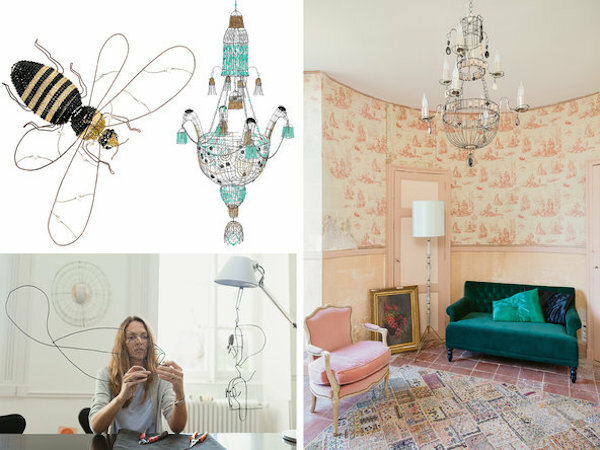 ELLE DECOR announced its annual A-list and with it published an issue packed with a plethora of fabulous projects. Right here in Connecticut, Emma Jane Pilkington‘s Greenwich house proves there’s more to our fair suburbs than cookie cutter colonials. 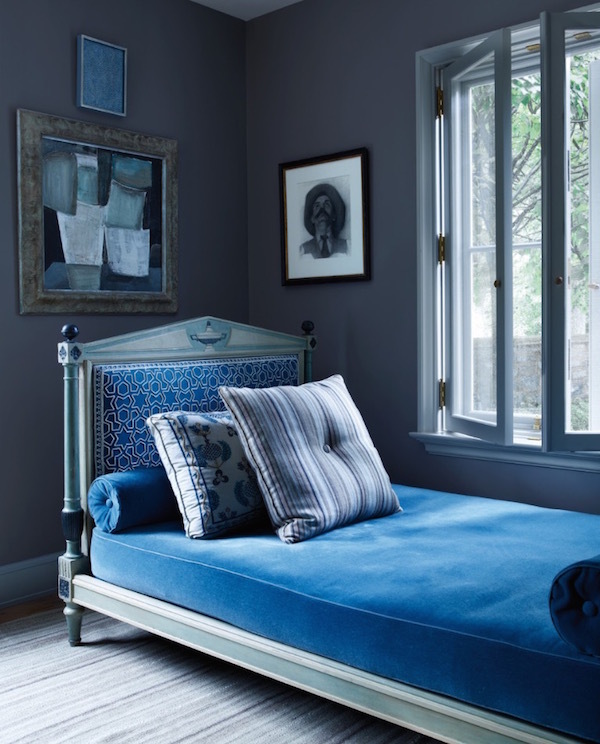 With a three year renovation by architect Joel Barkley, the previously dark and confining rooms were transformed into gracious welcoming spaces. Pilkington then added her own sophisticated flair with a cosmopolitan mix of old and new. 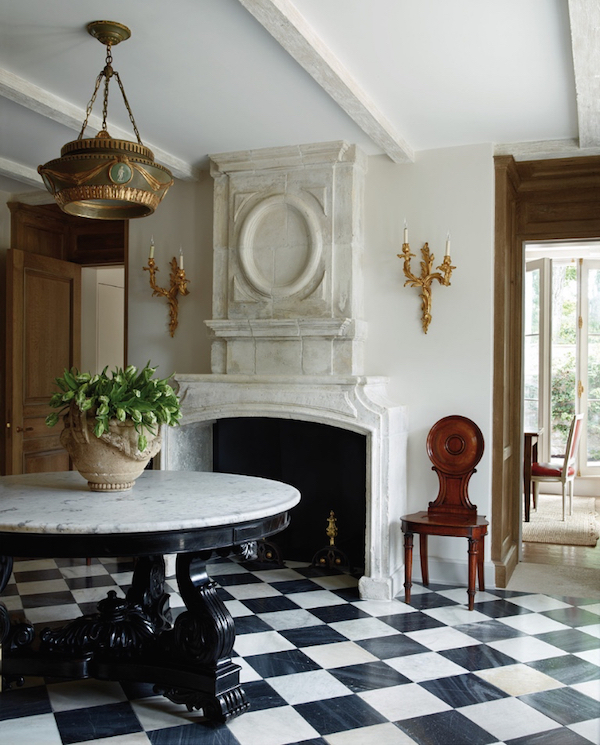 Front hall above with 17th century limestone fireplace and her husband’s study below with a Directoire daybed upholstered in linen and mohair. 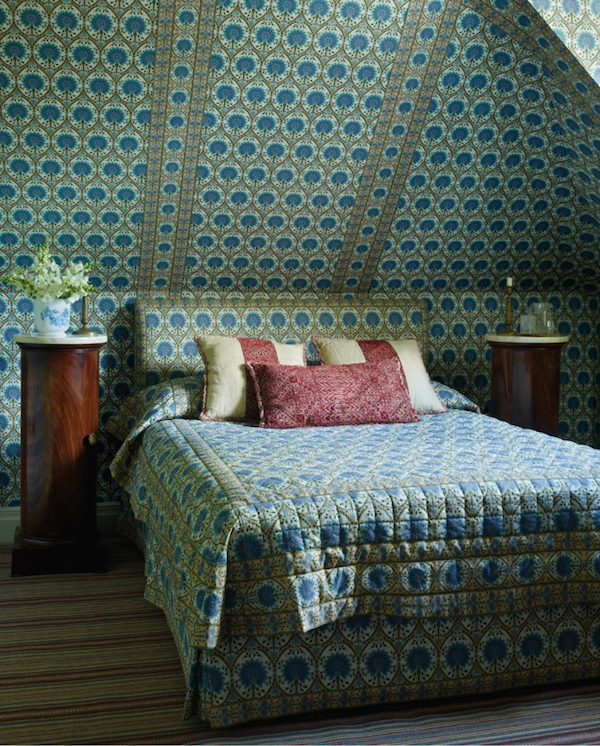 and a charming guest bedroom enveloped in a timeless Braquenié print. There’s much more in the issue to peruse if you haven’t yet. Architectural Digest included another favorite – the enchanting summer home of Sir Evelyn and Lynn Forester de Rothschild. 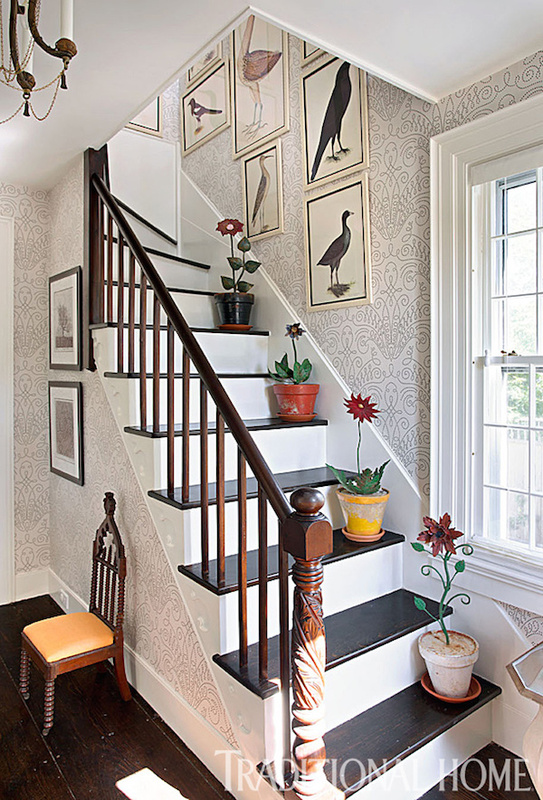 Set on Martha’s Vineyard, it is a understated family home built by Hugh Weisman and decorated by Mark Cunningham. 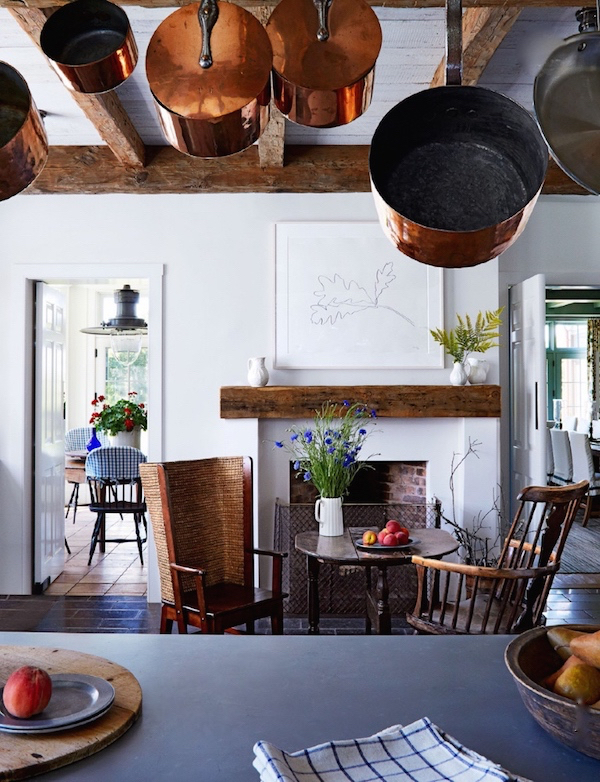 Below in the kitchen, copper pots and antiques mingle comfortably with an Ellsworth Kelly. 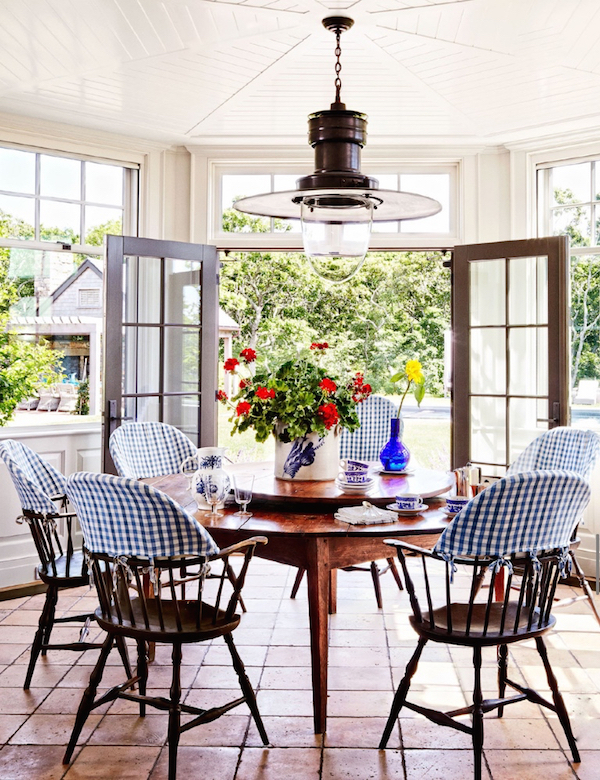 And beyond in the breakfast room, blue and white checks on antique Windsor chairs add to the country charm. Veranda features a lovely vacation home in Costa Rica designed by friend Beth Webb. 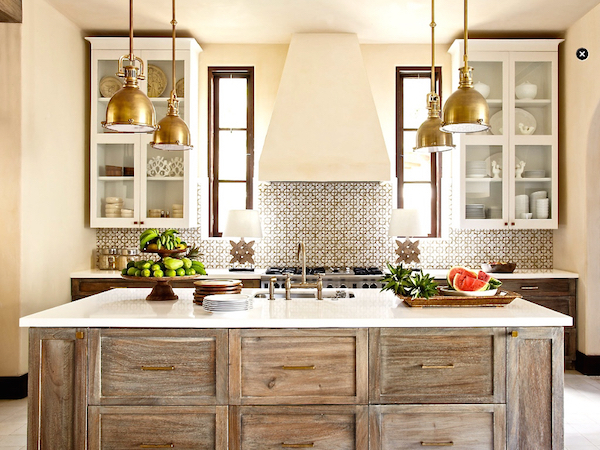 The kitchen is a tonal delight with a variety of wonderful textures. 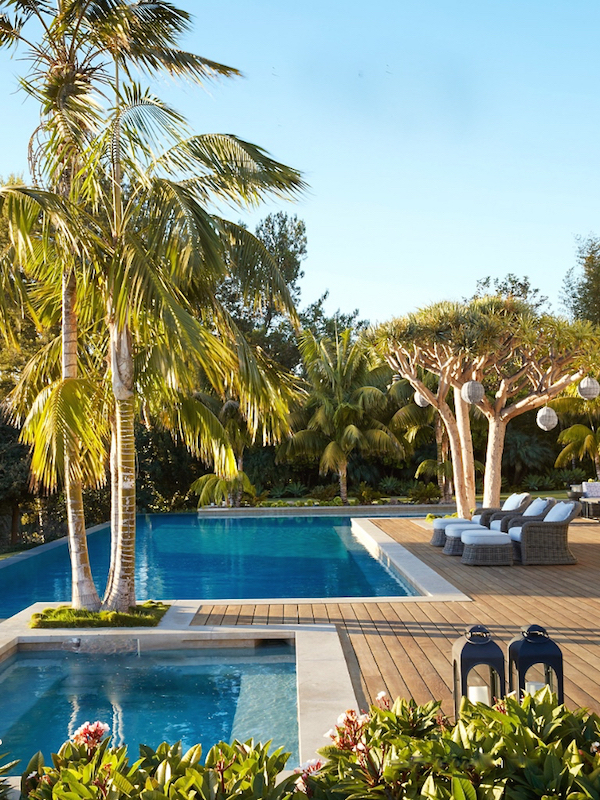 And a tropical oasis in Malibu by Martyn Lawrence Bullard had me ready for summer! Their front of book is consistently fabulous. 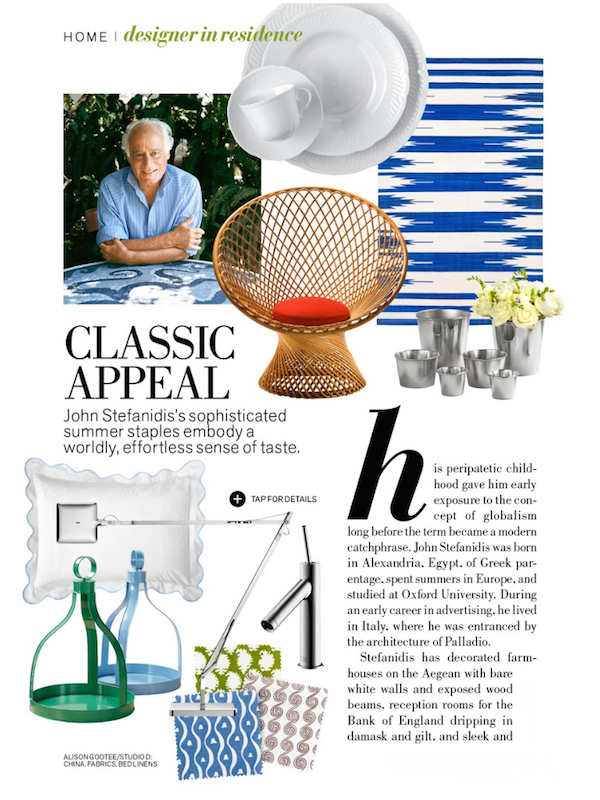 Does it get any chicer than John Stefanidis‘ round up of stylish summer staples? 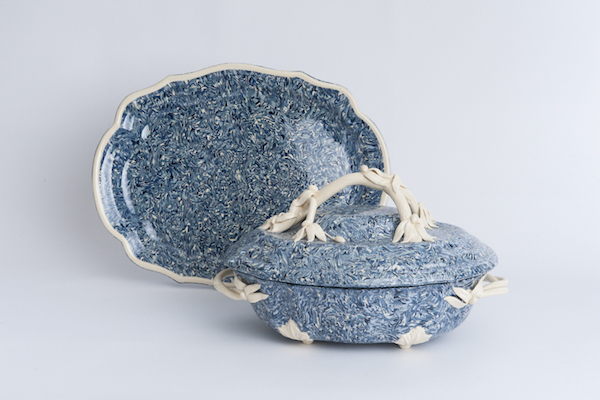 And a grouping of artisan dinnerware led me to the site of La Tuile à Loup where I found a wonderful selection of Aptware that I have been searching for. While I can’t quite believe it’s almost June, I am looking forward to spending more time on Nantucket this summer. 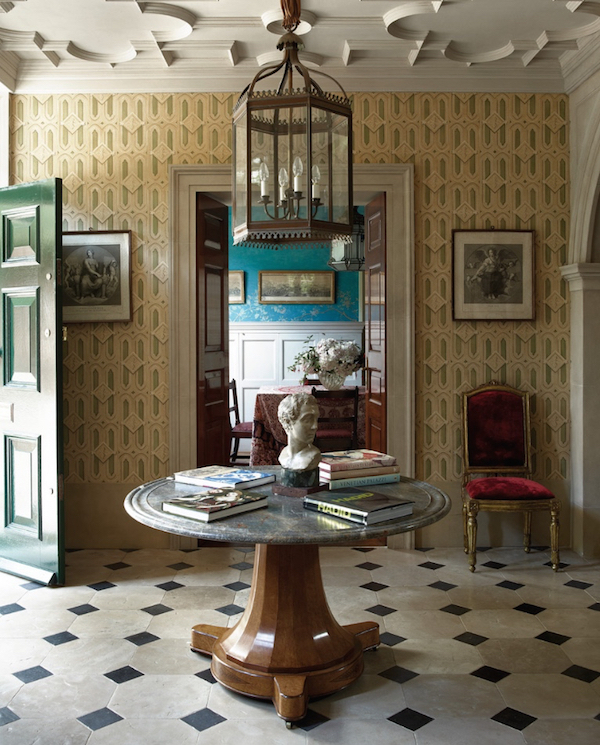 Susan Zises Green‘s lovely island home is featured in this month’s Traditional Home and I know I’ll be seeing her at the Design Panel at the Antiques Fair if not sooner – there’s a great line up this year! Maybe we’ll even get a further peek inside one of her homes. I’ll be sharing lots of fun insider ACK access over the summer months. 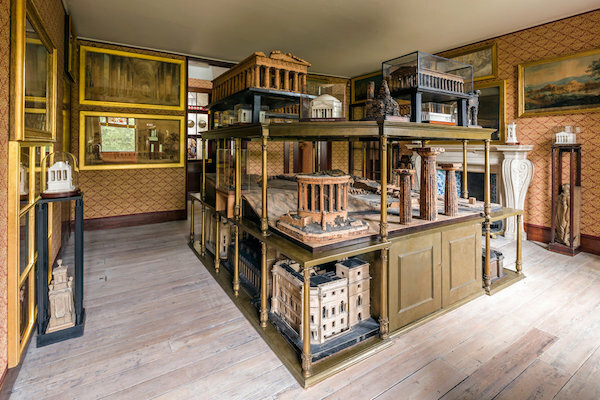 And I’m still not quite done catching up over at T Magazine but for any of you going to London, be sure to stop by the newly opened private apartment of Sir John Soane. It looks wonderful! 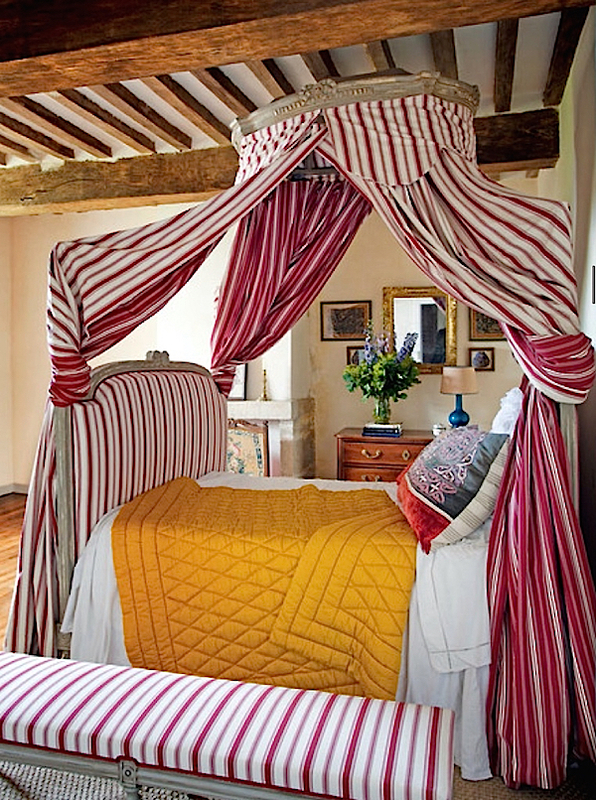 And in the recent Travel Issue they featured a piece on one of my favorite hotels, the art filled La Colombe d’Or in Saint-Paul de Vence in Provence. While I have never stayed there, I stopped by years ago and have dreamed of returning ever since. The marvelous Fondation Maeght nearby is a must-see and a perfect reason to book a stay. For those of you not on social media, I also shared a couple other pieces from the issue on Facebook – Phoebe Hoban’s wonderful article, Works in Progress, that profiles female artists in their 70s, 80s and 90s who “we should have known about decades ago” as well as as Alexandra Marshall’s look at artist Marie Christophe, below, who I wrote about last year here. Vogue featured the Normandy home of (new Oscar de la Renta designer) Peter Copping and floral designer Rambert Rigaud, who did the lovely flowers for Carolina Irving’s table for ODLR at the Lenox Hill Gala. We were both lusting after his chic YSL animal print shoes. traveling with Charlotte Moss (her shot from the show below), among others, on a special Nancy Lancaster themed trip. 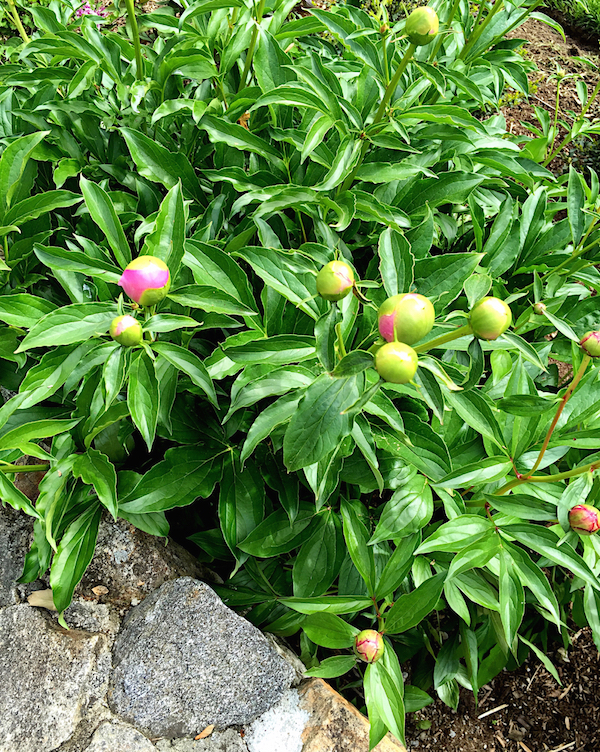 In the meantime at home, I am anxiously awaiting the imminent opening of my peonies! Wishing you all a wonderful holiday weekend! I’ll be sharing lots of great fresh original content next week. This entry posted in architecture, art history, furniture, interior design, Nantucket. 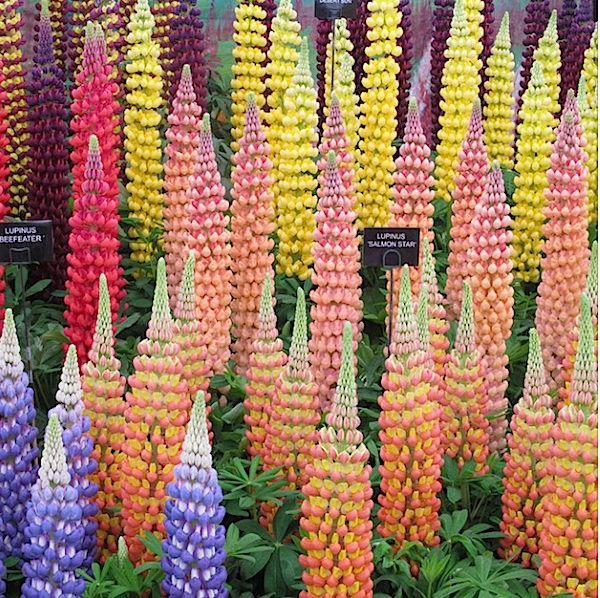 Entry Tags: Architectural Digest, Chelsea Flower Show, ELLE Decor, interior design, T magazine, Veranda Magazine, Vogue magazine Bookmark the permalink. Stacey thank you for all of this fresh, crisp, and unique eye candy…you have made my day! A wonderful post! What a way to start the weekend! There is so much great information in this post that I’ll bookmark it to return to for inspiration. Hoping your peonies open for you soon and Happy Memorial Day weekend! 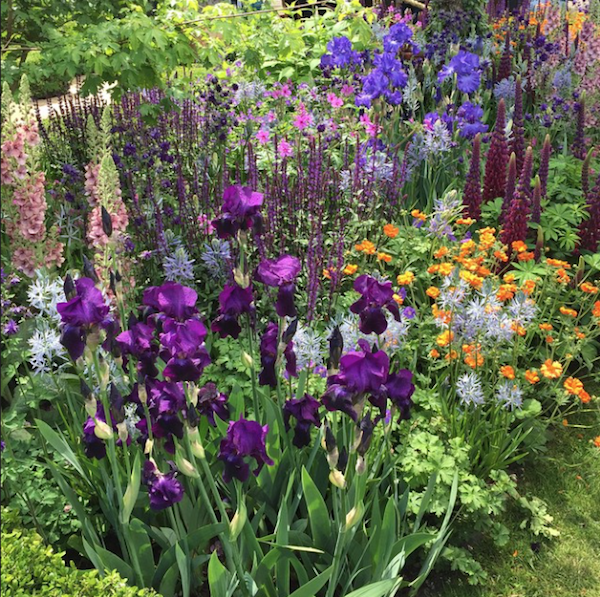 I can practically smell the flowers from those gorgeous photos…hurry up summer! Fabulous post! So uplifting and beautiful ~ loving all the color! 81 queries in 0.525 seconds.